Gender-based violence is a global issue that affects all countries. All girls have the right to a life free from violence, discrimination, intimidation and abuse. However, violence currently strips this right from millions of girls worldwide, and continues to be one of the most persistent, systematic, and widespread human rights violations. Which is why Entreculturas and its “An end to violence against girls: right to education, guarantee of equality” report aims to shine a light on the violence that compromises girls’ developmentand undermines their rightto live a life of equality. The report analyses the relationships between education, violence, gender equality, and development within the framework of the Sustainable Development Goals, describes some of the human rights violations that girls and women can experience throughout their lives, including female genital mutilation, child marriage, and early pregnancies, and specifically analyses the prevalence of gender-based violence in the special space of socialisation provided by schools and learning environments. Finally, it addresses the consequences of the different forms of violence and their impact on girls’ right to education. The report then assesses the practices and policies of the fight against gender-based violence in schools and summarises twelve conclusions in order to provide a map for designing proposals for political and social change through concrete measures included in eight recommendations. Violence against girls is rooted in the structural inequality in the power relationships between men and women. Insidious social and gender norms reinforce the misconception that girls are less valuable than their male counterparts, and perpetuate male dominance and the idea that women and girls are under their control. Underlying this inequality are rules, traditions, social practices, and ideas about authority, hierarchy and discipline. Other features of girls’ identities –class, caste, ethnicity, religion, sexual orientation, functional diversity, and forced mobility–means they face an increased risk of violence. We are going to end violence against girls: we know that it requires cross-cutting interventions at all levels to address the deep-rooted causes of gender-based inequality. However, putting an end to this violence is possible and everyone has a role to play: we must defend the rights of girls, both individually and collectively, and openly speak out about discrimination and abuse. We therefore argue that education plays a fundamental role in building a more egalitarian, just, and peaceful world. 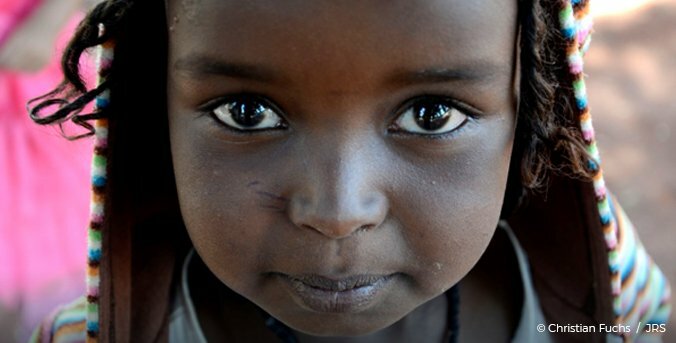 Education not only reflects the consequences of discrimination against girls, but by educating girls as equals we can reverse the causes underlying this discrimination. Education is a powerful tool for change: quality, equitable, inclusive, and transformative education focused on building fairer societies based on a common ethics of human rights founded on equity and shared responsibility among women and men.